We want to really thank everyone for the overwhelming, positive feedback this little game has gotten! This past week we have worked hard to finish an updated version of the game, with some much needed improvements and polishing: Many small things we weren't able to finish in time for the game jam's deadline as well as changes based on player feedback! In the settings page you can now chose one of three difficulties. 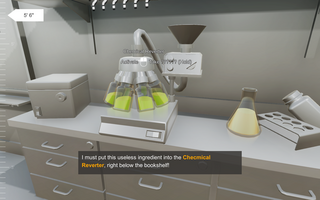 They change how many formulas and ingredients you have to find, how long the lab equipment takes to process ingredients, how fast you shrink, and so on. 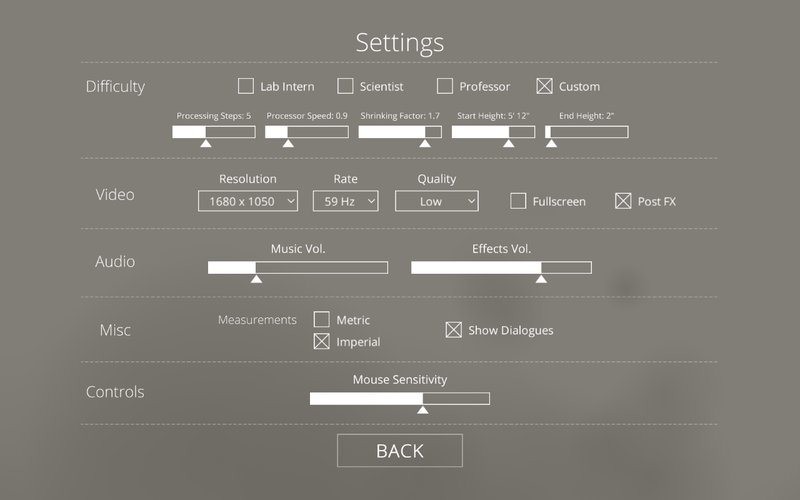 Additionally, there is a fourth option, which allows you to fully customize your own difficulty: Want to start a game with your actual body height? Or become real small? Or maybe just come up with a ridiculous challenge to push yourself? This is the place to go! But beware: We can't guarantee that the game will remain winnable for everything you come up with! 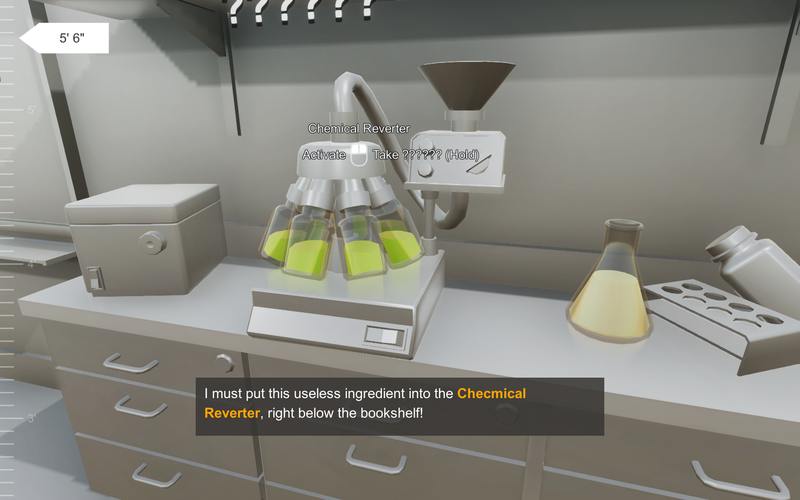 There is a new piece of equipment in the lab: The Chemical Reverter! Previously, when you got a formula wrong, the game was instantly over, because you have lost an important ingredient that was required to produce the antidote and there was no point in continuing without it. This is where the Chemical Reverter comes into play: When you mess up a formula (we all make mistakes, sometimes), just throw the result into this machine and revert the process! After that you are ready to go and try again! We want to thank everyone, who has checked out this game! This updated version is what we wished we could have uploaded last week and really hope you enjoy it! Do you have any system requirements for running this game?? I bought a laptop last year that was new, and I can't even run this thing on the lowest settings without huge lag! 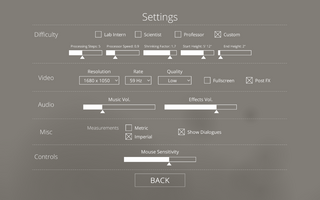 We don't have concrete system requirements, but it should run on any newish computer: Have you tried deactivating the option "Post FX" in the settings? Usually that's the most performance hungry graphic setting! If that still doesn't help, please let us know and send us your machine's spec, so we can take a closer look into it! 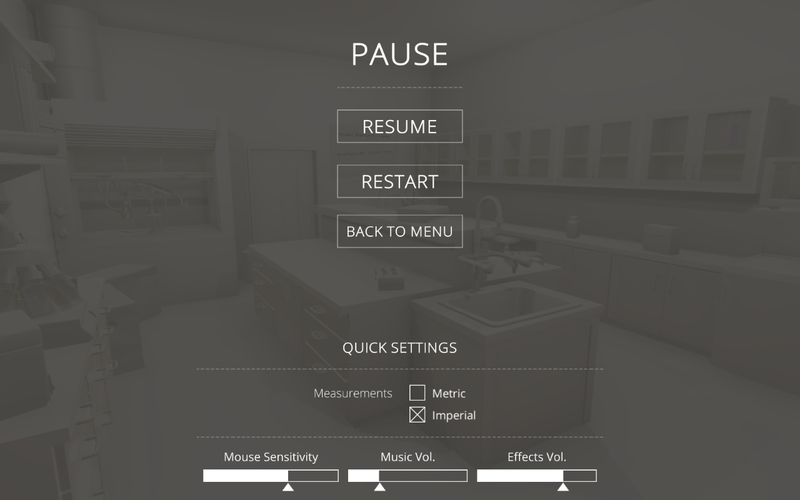 For future versions we hope to improve performance (which, admittedly, was no priority during the game jam, haha) and offer more detailed graphic settings! Thank's for the fast reply! I tried the toggling the post FX, and it made my laggy game (about 10fps) go to a slightly less laggy game (15-20fps). 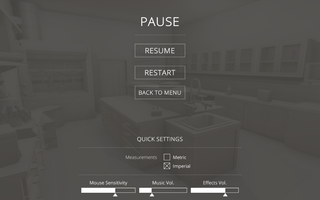 Therefore turning that off does work, but it still runs slow for me, even on the lowest settings. Admittedly I don't have the best gaming laptop ever, but I was able to play games like Skyrim and TF2 on lowest settings with no problems. This game is even more amazing now with the update! I love having the custom settings to keep the challenge fresh. I will definitely continue to play/keep up with this game. Just go to the download page and download the correct version for your platform: That is, do not download any of the "Strawberry Jam" versions, because they are the original game created for the game jam's deadline!